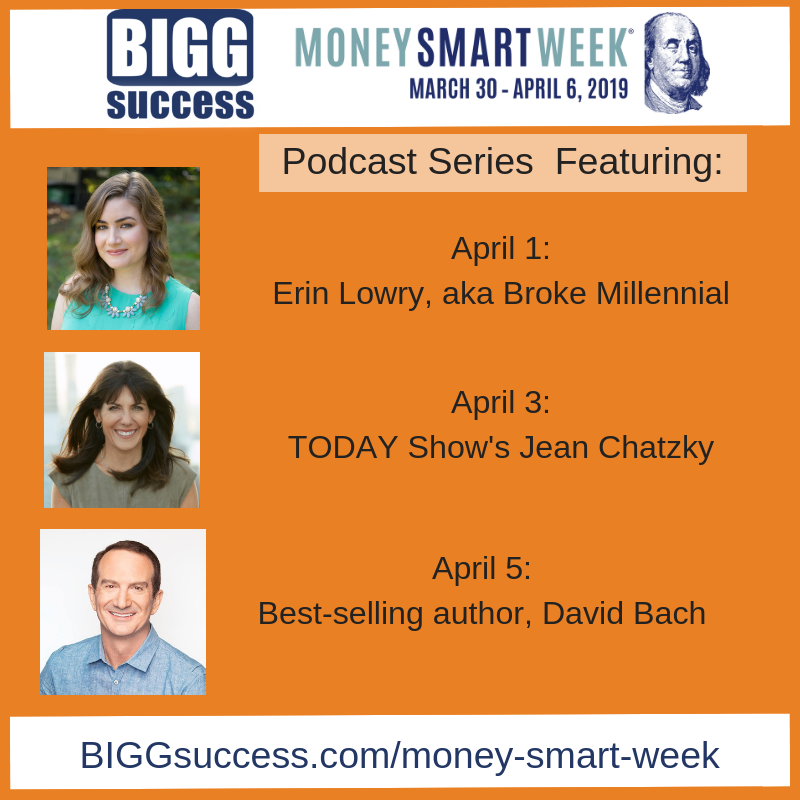 On The BIGG Success Show today, we introduced the 3 financial experts who will be joining us for a special podcast series. Here’s a summary of that discussion. We are hosting a special podcast series for Money Smart Week, March 30th-April 6th. Money Smart Week is a national public awareness campaign coordinated by the Federal Reserve Bank of Chicago to help individuals and families better manage their personal finances. 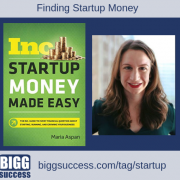 Our mission at BIGG Success is to help good people have more money to do more good! So we decided to create a special podcast series to bring you advice from the top financial experts in the world! 3 things to keep in mind when making financial decisions, so you can enjoy life more, now and later. 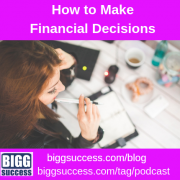 We discussed financial decisions on The BIGG Success Show today. Here’s a summary of that discussion. George Krueger (aka “The Professor”) was quoted in an excellent article on U.S. News and World Report about opportunity costs, by Geoff Williams. What does “opportunity cost” mean? You can think about it this way: When you purchase one item, it means you can’t purchase another one. 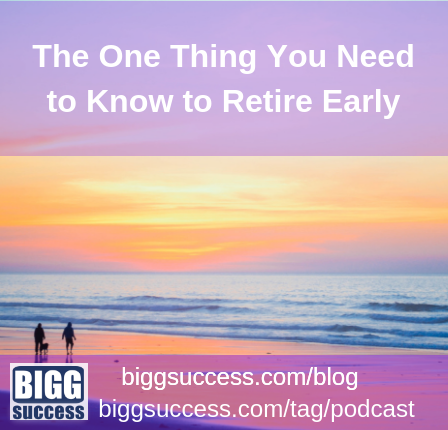 In other words – because you only have a set amount of money at a certain point in time – there are tradeoffs. You can’t have everything. You have to make choices. You have to prioritize. 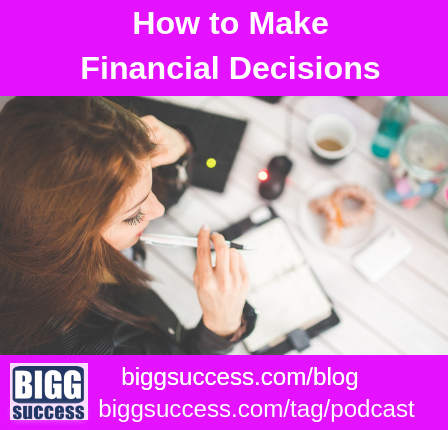 Want to hear what Mary-Lynn’s tradeoff is? Listen to the show by clicking the PLAY button above. 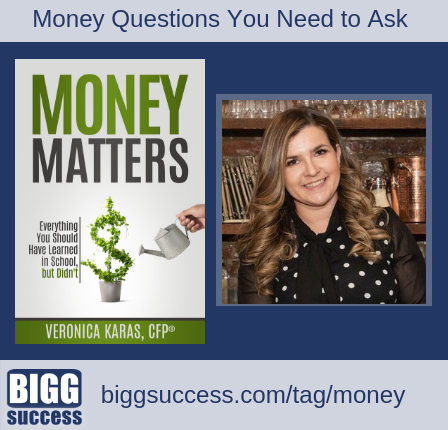 Asking better money questions is one of the keys to getting the future you want, says Veronica Karas, author of the new book, Money Matters: Everything You Should Have Learned in School but Didn’t. 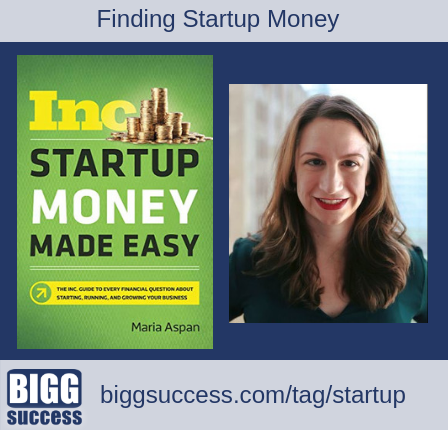 Finding startup money is essential if you are to move forward with a new business. However, you might not need as much as you think. Retire early. Most people like the idea, but how can you do it? Start by knowing this one thing. 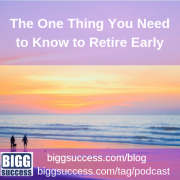 We discuss retiring early on The BIGG Success Show today. Here’s a summary of that discussion. 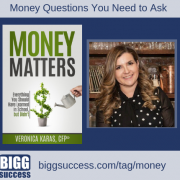 How do you win with money? How to win the game of life? Don’t just think about today. Think about today AND tomorrow AND through your retirement.